Who doesn’t love french toast for breakfast? No one, that’s who. Cause french toast is delicious. Now, you can top this french toast with anything you want. Coconut Whipped Cream, nut butter, maple syrup (Grade B for the most minerals! ), berry compote, fresh fruit… The possibilities are endless. I decided to top them with some caramel-y bananas. This is Classy French Toast. In a bowl, combine eggs and coconut milk. Sprinkle in some cinnamon and salt. Heat a Tbsp. of coconut oil in a skillet over medium heat. Dip a bread slice in the batter until coated on both sides. Lay in the skillet and flip when one side is golden. Repeat with other bread slices. In the same skillet or small sauce pan. Heat a little coconut oil over medium heat and add sliced bananas. Stir occasionally. Once bananas begin to soften, add maple syrup, cinnamon, and a sprinkle of salt. You can mash the bananas a little or just leave them in slices, but let them caramelize (sit on the heat) for a bit before stirring. 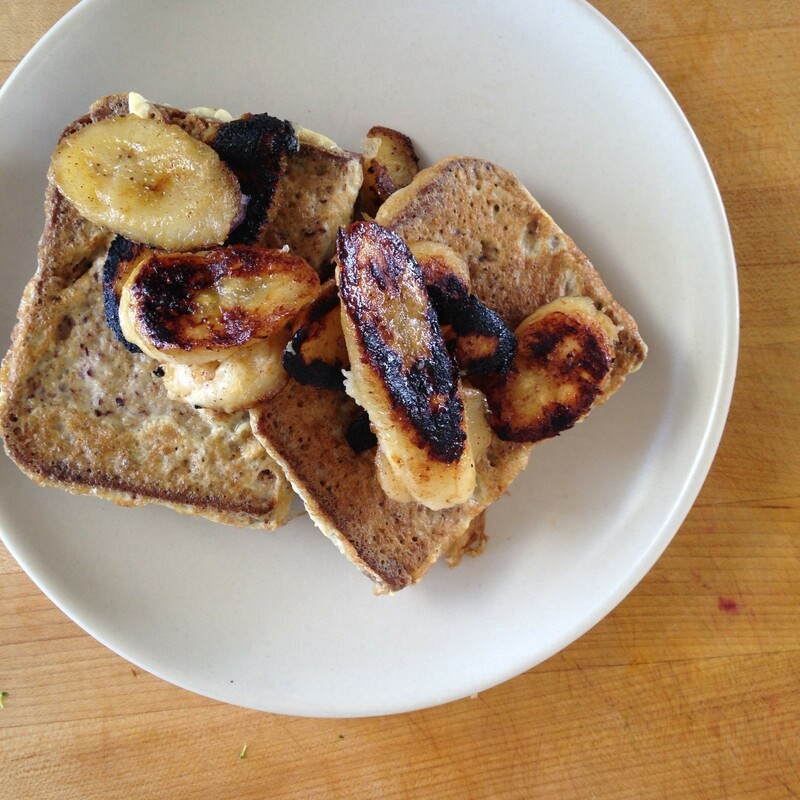 Spread bananas over the french toast. Enjoy!